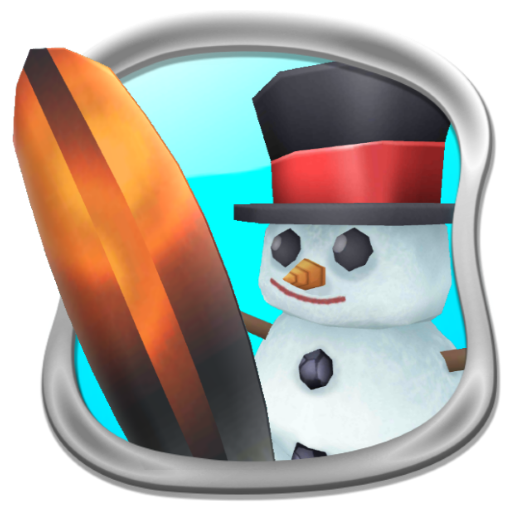 Surfing Snowman is endless surfer type game. 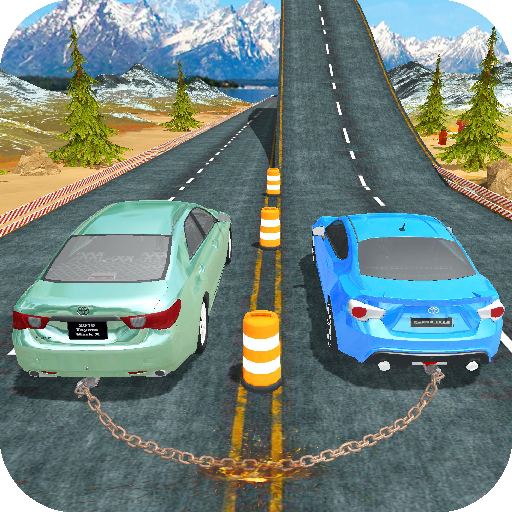 There are plenty of obstacles on the way and ramps for those amazing jumps. 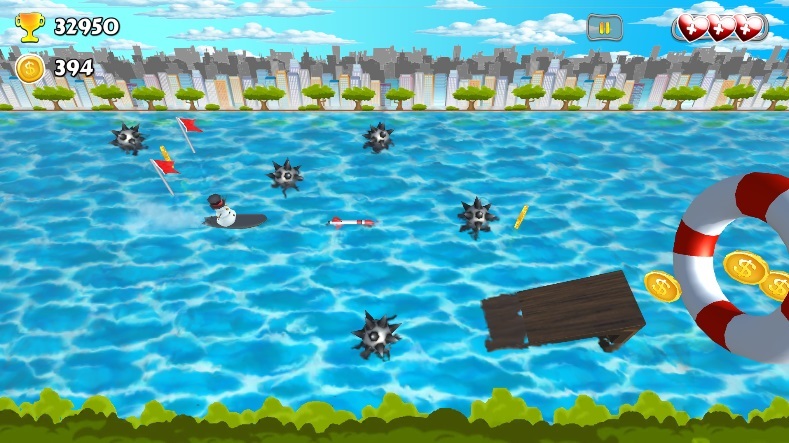 Destroy mines and collect as many coins as you can, but watch out for that giant octopus! 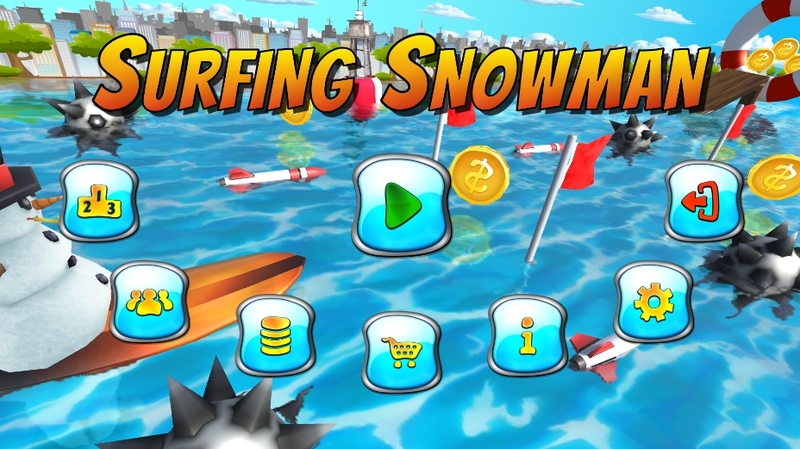 Be ready and vigilant as Surfing Snowman goes faster and faster. 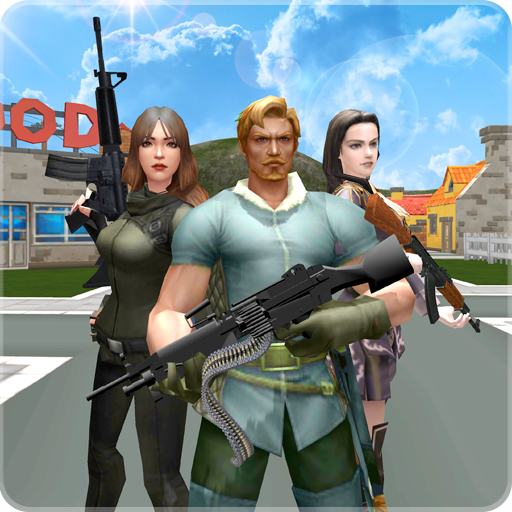 Get the highest score an put your name on the leaderboard. 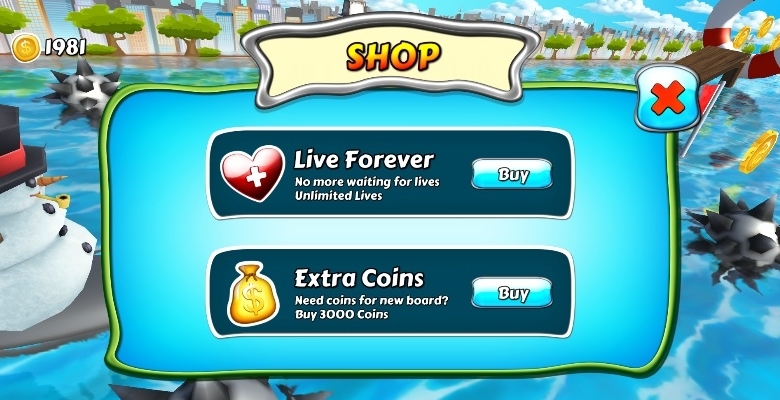 Gather coins to buy new boards in the surfboard shop. 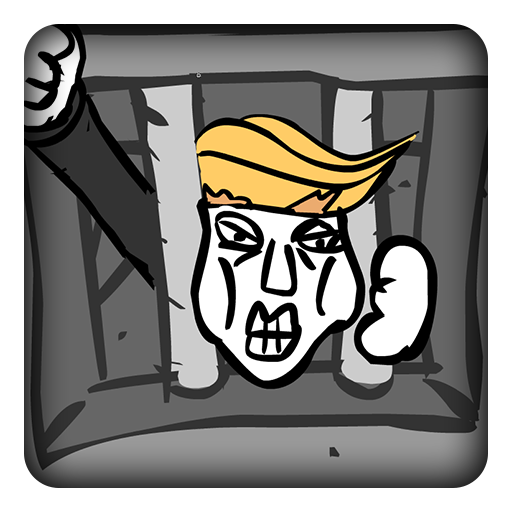 There are no ads in this game, so if you like it, please consider supporting my work by purchasing add-ons.